The OnePlus brand is coming out of age, it seems, which can be both good news and bad news, depending on how you look at it. It started as a word-of-mouth online seller with viral marketing campaigns based on its stellar value-for-money propositions. This allowed it to operate on thin margins, without the typical selling, general and administrative costs that a rich retail presence and traditional marketing campaigns would entail. A similar strategy - vowing to keep profit margins of no more than 5%, and high-end phone prices below $700 - allowed Xiaomi to explode to the world's fourth-largest manufacturer. OnePlus has become a victim of its own success, however, and with the upcoming 6T, its underdog status may be coming to an end. Not only could the phone be carried by T-Mobile in the US, but it will also be available on several UK carriers and at more brick-and-mortars than ever before. In addition to O2 in the UK, EE and Vodafone will also stock the OnePlus 6T, has become clear, and some of the largest British retailers like Carphone Warehouse, and even John Lewis, will have it in physical stock, together with tech wholesaler DataSelect. Gone are the days when you had to employ hope and prayer with an invitation system to get your grubby mitts on a OnePlus flagship. While this has undoubtedly contributed to the company's underdog aura, now that it is a somewhat established brand, it may change tack. This shows that the initial word-of-mouth days were a strategy for establishing the brand in the Western markets, given the general mistrust between national security agencies and Chinese telecom firms. Now that the tide has turned, OnePlus phones could be sold in more traditional ways, reaching a larger subset of potential buyers. What wider availability and more aggressive promotional campaigns might mean, on the other hand, is that the company would no longer be able to sell the phones at or near cost with thin margins. This trend was clearly visible with the OnePlus 6 and may continue with the 6T. The OnePlus One launched at $299 and was an incredible value. The OnePlus 6 started at $529 which was more than its predecessor. Should the OnePlus 6T be priced higher, the honeymoon with Western users could be over and they would have to demonstrate they like the brand for the overall package on offer, rather than the rock-bottom pricing only. 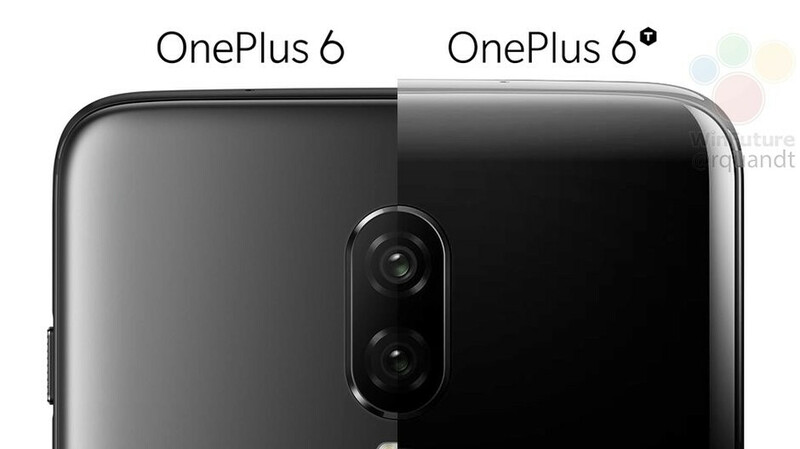 The wider 6T availability could usher in a new era for OnePlus, and we are really curious what the phone will bring to the table to address those concerns, given that there will be plenty of direct competitors in an eventual higher price slot. Somehow this 6T just doesn't excite me. Teardrop design just looks bad in my opinion. A semi-circular notch like the Essential Phone would have looked perfect. It remains to be seen if the in-display fingerprint works well, I have seen on other phones that you have to press the power button first before using the sensor....which is really stupid and defeats the purpose. Hopefully it is not the case here. And where is the notification LED ? The rumor is that there IS no notification LED. how about no notch whatsoever? Just small bezels.. While with negligible chin and a waterdrop notch, 6T will offer one of the highest body to screen ratio EVER! It's anyday a better setup than having significant top and bottom bezels. Every phone they make is their priciest phone ever. Why would that change now. I think that OnePlus have come a long way and they don't need rock bottom prices to attract customers. The latest handsets shine through their own merits of cutting edge hardware and good software. In the end I trusted Sony more and I just bought an Xperia XZ3 but the OnePlus 6T was the only alternative I was considering of waiting for. The moment they price it higher than 6 they are going down, and really fast. Their package is just not appealing anymore, their super fast OS isn't the only super fast anymore, xiaomi's MIUI 10 is super fast, heck even samsung is doing well nowadays with its skin. And not to mention that cheap low end optical fingerprint reader under the screen. Huawei and Xiaomi have way more appealing phones nowadays than anyone else at all price points. Huawei phones aren't $500 devices. And Xiaomi sells bloat filled with ads everywhere. I would anyday pick OnePlus over them just for lesser price, better quality, amazing software with 3 Android update support + 3 years of security patches. Good luck finding that on any other device. No Verizon - missing out out on 100+ million potential customers. Can phonearena just get a life? Which brand's phones haven't got pricier ? Now we have Huawei, Apple, Samsung, Sony selling their flagships for $1000+ while Xiaomi sells creepy ads to subsidize prices. OnePlus is anyday a better deal. A phone starting $500 + makes so much more sense. It's not 500$, it will be 600$. And for that much,you can buy Galaxy S9, LG G7, Huawei P20 (Pro costs 100$ more...), or 2 Xiaomi's and live with"ads" if you don't know how to change ROM. teardrop design : your tears now drop too after you bought it.